Cranel, Inc. is a family-owned, mid-size business in the enterprise content management (ECM), office equipment and check automation markets, serving as a leading distributor to value added resellers, independent software vendors and office equipment dealers. Headquartered in Columbus, Ohio, with office across the U.S. and Canada, the company operates two business units: Cranel Imaging (document imaging, print management and check automation products), and Versitec (maintenance services). Founded in 1985, Cranel’s manufacturing partners are a Who’s Who in their respective markets, including Burroughs, Canon, Kodak Alaris, Panasonic, Nuance, among others. Confronted with aging servers and an email solution that had reached the end of its supported life cycle, Cranel decided not to update its existing on-premises solution with new servers and licenses. Instead, the company switched to cloud-based Microsoft Office 365 to cut costs and better support its 105 mobile workers using PCs, Macs and various mobile devices across North America. Enter Affiliated, the Columbus, Ohio-based technology services company and long-time business associate with Wells. After he asked Affiliated to conduct a cost benefit analysis of moving to the cloud versus investing in new servers and licenses, which proved that migrating to a cloud-based solution was the best recommendation. “In so many ways, a move to the cloud represented a more stable environment for us and a huge financial savings,” Wells says. For starters, instead of spending $50,000 to $70,000 on new servers and storage, Wells saw opportunities to reallocate those savings to much-needed internal IT projects, like upgrading the internal LAN and wireless network to better serve the entire company. Plus, with Microsoft Office Professional Plus included in the Office 365 subscription, the company avoided a large upfront cost to upgrade to Microsoft Office 2013. A migration to Office 365 also represented a 15 percent savings over alternative email services that Cranel had looked into, including Google Docs and a host of platforms from local data centers. Finally, Wells wanted to reduce the strain on his IT administration resources. By transitioning to the cloud-based Microsoft Office 365, “we can rely on Microsoft for a stable email service, while we focus on increasing user productivity,” Wells says. Before heading to the cloud, Wells says his aging servers often required maintenance, leaving users and clients in the lurch. Today he no longer worries about application availability throughout Cranel’s nationwide network, or accessing email in the event of a disaster. Electronic correspondence is always available and backed up on remote Microsoft servers. “From a disaster recovery and business continuity standpoint, having Microsoft in the cloud makes a lot of sense,” Wells says. Microsoft Office 365 also increased email storage space, which was becoming a problem for Cranel. In the previous in-house Microsoft Exchange environment, the company was running out of disk space on the older and smaller servers. Today, not only is storage space unlimited, but Wells is able to reclaim disk space on in-house servers for other mission-critical services, such as the two-year-old ERP solution that consumes storage space. Since 1993, Affiliated has been helping growing and midmarket organizations identify, evaluate and implement technological solutions to improve operational efficiency and increase revenue. As a member of the Microsoft Partner Network certified in both Microsoft Platform and Microsoft Dynamics CRM solutions, Affiliated specializes in providing complete technology solutions including both software and services to organizations in multiple industries including distribution, manufacturing, health care, professional services, government, and not-for-profits. "Affiliated ran the smoothest, fastest migration from one system to another that I’d ever seen. It was flawless." 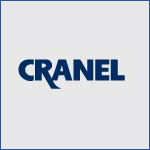 A leading distributor of enterprise content management (ECM) products and services, Cranel needed to update its aging email solution and servers, with the goal to increase reliability and email storage, ensure disaster recovery, and save money for other IT projects. After conducting a comprehensive analysis of cloud vs. in-house options for email, Affiliated recommended and implemented Microsoft Office 365. By moving email to the cloud, Cranel saved up to $70,000 in server replacement costs, while eliminating future maintenance costs. With unlimited email storage in the cloud, the freed space on internal servers was reclaimed for other IT operations, making the in-house environment much more efficient. "With Microsoft Office 365, we no longer have to worry about updating our email infrastructure and licensing around the operating system, because it’s now all up in the cloud."